With crime at an all time low, Oliver decides to take a break and asks Felicity on a date. However, they're interrupted when a new drug dealer take the name of Count Vertigo and targets the Arrow for death. 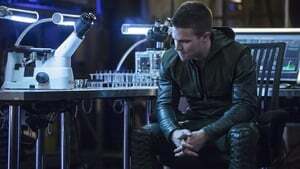 Meanwhile, Diggle becomes an expectant father and a scientist tries to acquire Queen Consolidated before Oliver can retake his family's business. 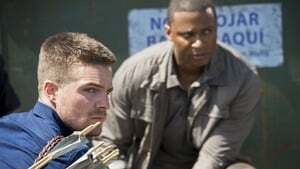 Oliver tries to track down Thea in Corto Maltese as Diggle searches for a missing field operative. Meanwhile, Felicity adapts to her new job. 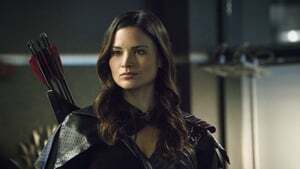 Nyssa believes that Malcolm killed Sara and goes after him to avenger her lover's murder. 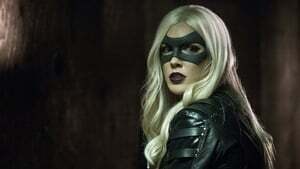 Oliver discovers that he has no choice but to stop her, despite Laurel insisting that he avenger her sister's death. Meanwhile, Thea returns to Starling City and settles in... until Nyssa discovers that she's Malcolm's daughter. Felicity's past as a crusading hacker is revealed when someone uses a super virus that she designed to bring Starling City to a standstill. 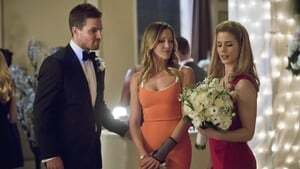 Meanwhile, Oliver and Thea work on their new relationship, and Felicity's mother pays a visit. A killer is murdering his victims and attempting to frame Ted Grant. 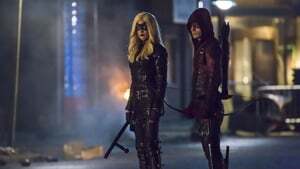 The Arrow finally comes to his aid after Laurel protests her trainer's innocence. Meanwhile, Roy goes to Felicity for help determining if he killed someone under the influence of Mirakuru. The Arrow is stalked by an ex-police officer who he rescued during the Mirakuru siege and has become dangerously obsessed with the hero. Meanwhile, Ray asks Felicity to accompany him to a business dinner, and Thea is forced to hire a new DJ for Verdant. 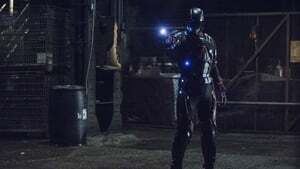 A crossover event that began on "The Flash" concludes with Oliver teaming with the Flash to stop a boomerang-wielding killer who plants five bombs in the city that are set to explode at the same time. 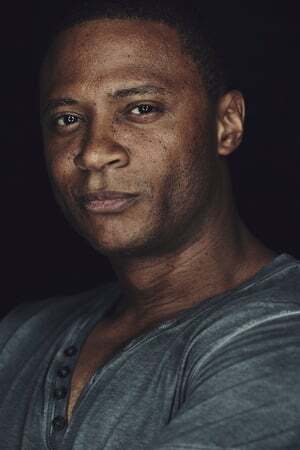 With Oliver gone, Diggle, Arsenal, and Felicity have their hands full dealing with a new crime lord: Brick. Meanwhile, Ray prepares his battle armor, and in Tibet, a mysterious figure finds Oliver's body. 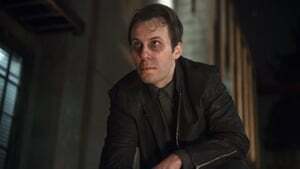 Brick takes three city aldermen hostage and demands that Mayor Castle turn the Glades over to him in return for their safe return. Meanwhile, Felicity turns to Ray for help when she needs a helicopter, and Laurel realizes that she may be in over her head with her new crime fighting carer. Vertigo causes Laurel to hallucinate an epic fight that pits her Black Canary against her sister Sara. Meanwhile, Chase surprises Thea and Roy warns Thea to stay away from Malcolm. 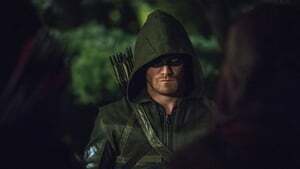 Malcolm puts Oliver and Thea in a dangerous situation that lands them on Lian Yu with Oliver's former enemy Deathstroke. In a flashback, Oliver and Maseo return to Starling City to retrieve the Omega bio weapon. 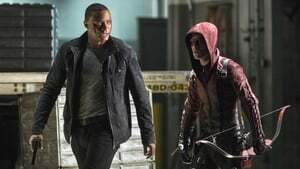 Thea betrays Malcolm to the League, but Oliver sets out to rescue his lover's killer so that Thea won't suffer the guilt of arranging for a parent's death. In the past, Oliver and the Yamashiros are released from custody, but Amanda Waller has other plans. 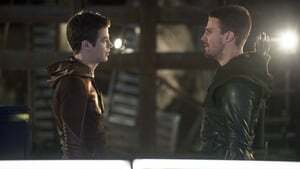 After hearing Ra's al Ghul's offer, Oliver returns to Starling City and contemplates whether he should accept it or not. Meanwhile, Quentin turns against the Arrow, and a new villain--Murmur--comes to the city to get revenge. 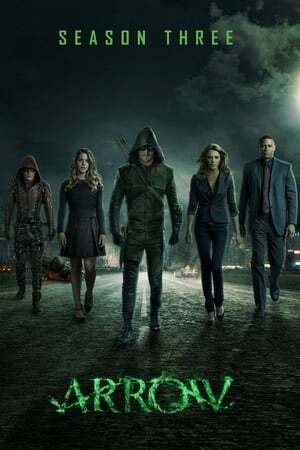 While the Arrow tries to track down the imposter killing criminals, Amanda calls Lyla in for a Suicide Squad mission and Diggle insists on accompanying his new wife. However, the Squad soon discovers that their rescue mission isn't what they expected. Meanwhile, Ray learns that Oliver is the Arrow and sets out to bring him in for his crimes. 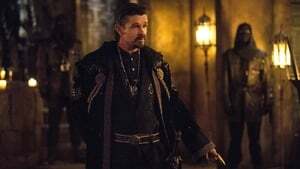 Ra's makes his next move against Oliver by reveling the Arrow's secret identity to Quentin. Left without alternatives, Oliver has no choice but to surrender. Meanwhile, Ray is injured in an attack and Felicity must take a risk to save his life. 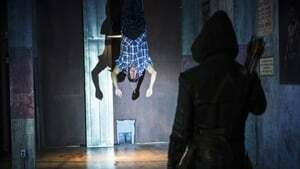 After Roy confesses that he's the Arrow, Oliver is forced to lie low as Quentin continues his quest to prove that Oliver is the real Arrow. 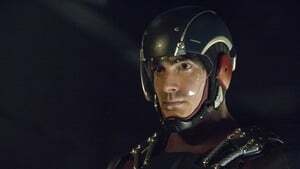 Meanwhile, a metahuman kills two bank guards and Oliver is forced to turn to Ray--as the Atom--for help. Oliver has no choice but to accept Ra's's offer to resurrect Thea. In return, Oliver must become the Heir to the Demon. Ra's sets out to transform Oliver into his perfect heir. 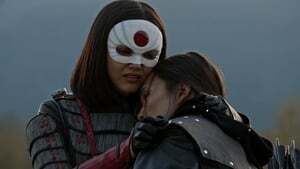 Meanwhile, Nyssa and Laurel draw closer, but their mentor/student relationship is threatened when Ra's sends men to bring his errant daughter back to Nanda Parbat..
Ra's tells Nyssa that she must marry Oliver or face death. Meanwhile, an unexpected ally travels to Starling City to ask Diggle, Felicity, and Laurel to help infiltrate Nanda Parbat. In the past, Maseo and Oliver try to find the cure for Akio before it's too late. With time running out for Starling City, Oliver tries to stop Ra's from unleashing the bioweapon and killing millions.